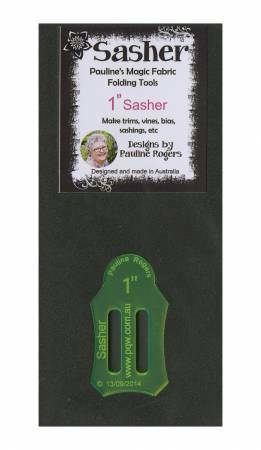 Pauline's Magic Fabric Folding Tools 1in Sasher - easily fold 1in bias or straight grain fabric. Sashers will fold strips in half or do a perfect bias fold. Simply cut your fabric strips 2in wide, either on the straight grain or bias. No More Burnt Fingers!